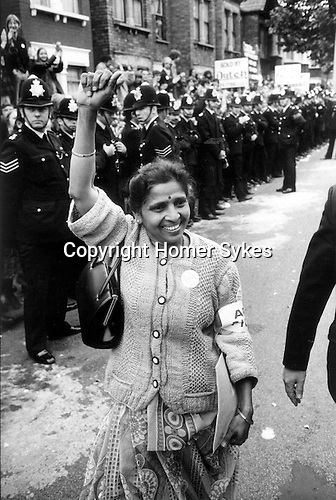 Mrs Jayaben Desai leader of Asian women's strike at the Grunwick film processing factory. In protest over working conditions and not being allowed to join a union, Mrs Desai confronted the management:- "What you are running here is not a factory, it is a zoo. In a zoo there are many types of animals. Some are monkeys who dance on your fingers tips, others are lions who can bite you...We are the lions Mr Manager”.